3 New Features in AddMeFast – Vine.co! Now you have chance to grow your presence in vine.co with AddMeFast.com. We have created 3 features for vine. 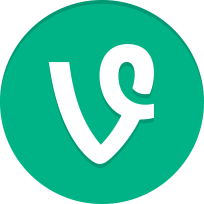 Vine is a mobile app owned by Twitter that enables its users to create and post short looping video clips. Video clips created with Vine have a maximum clip length of seven seconds and can be shared to Vine’s social network, or to other services such as Twitter – which acquired the app in October 2012 – and Facebook.